We are showing a total of 13 discount Time Pedals, with an average saving of 22% across the range. There are savings ranging from £10.00 for the Time Atac MX4 at Chain Reaction Cycles, up to £99.14 off for the Time XPRO 15 Pedals available at Wiggle for £300.85 and the same percentage saving for the Time XPRO 15 Pedals from Chain Reaction Cycles at a sale price of £300.85. 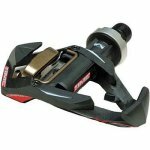 The top percentage discount is 34.00% for the Time Atac MX12 Pedals at Chain Reaction Cycles, giving a saving of £89.0 reducing the price from £259.99 to £170.99. This level of discount is also available at the following cycle shops: Chain Reaction Cycles, Wiggle, for example giving a saving of £49.0 off the Time Atac XC8 Pedals at Chain Reaction Cycles for a sale price of £95.99. There are discounts available for 7 Time Atac Pedals, with the largest reduction being 34% off the Time Atac MX12 Pedals. This is available from Chain Reaction Cycles at a price of £170.99, saving £89.00. The saving of around £89.00 is available at more than one retailer. and the top percentage discount is also for this model at Chain Reaction Cycles. This level of discount is also available at the following cycle shops: Chain Reaction Cycles, for example also giving a saving of £45.15 off the Time Atac XC12 Pedals at Wiggle for a sale price of £214.84.